This limited edition pajama pant is exclusively made by P.J. Salvage, a California lifestyle brand specializing in luxury essentials and the pursuit of a cozy, casual lifestyle. 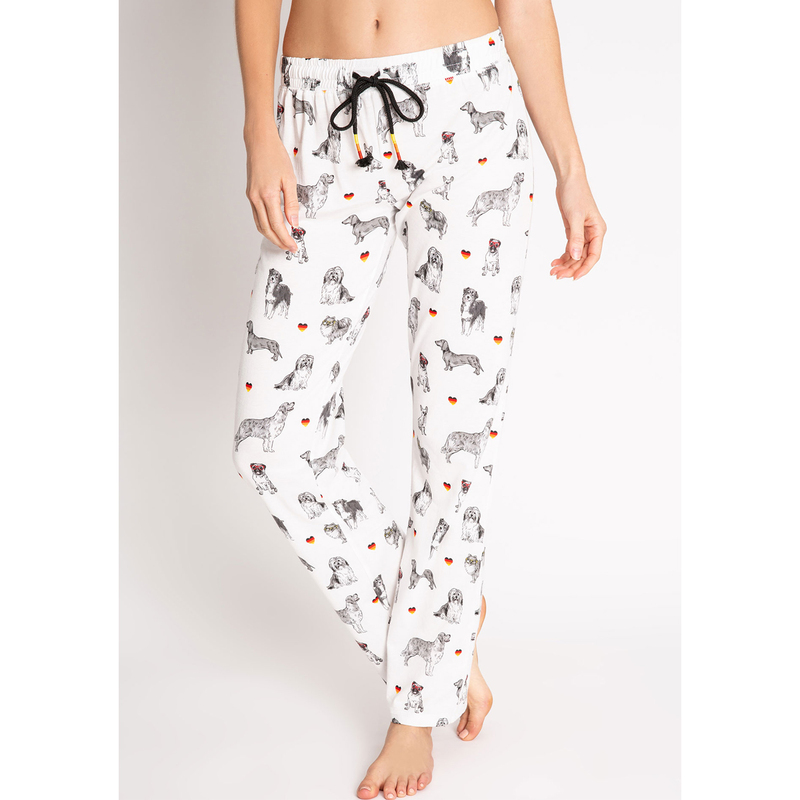 This relaxed open leg pajama pant is easy to pull on and features the cutest dog print, guaranteed to put a smile on everyone’s face. Drawstring waist has color-detailed ties. Perfect for lounging with your furry friends.